Pakistan has supported a robust U.S. drone campaign against the Pakistan Taliban, or Tehrik-i-Taliban, because they see them at least somewhat as an existential threat. The Afghan Taliban led by Mullah Omar is a different story. The leadership is primarily in Pakistan, at first in Quetta and eventually scattered as necessary to avoid detection. There has been no drone campaign against them because the Pakistani leadership and Army has a quaint but wrongheaded notion of using them (throughout Afghanistan and Kashmir) as a counterbalance against what they view as Indian hegemony. That is, until recently. 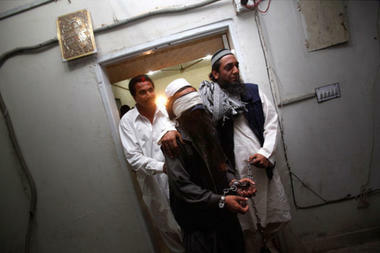 Their top military commander, Mullah Abdul Ghani Baradar, was recently captured in the port city of Karachi. There is a bit of intrigue surrounding his capture, including the highly plausible hypothesis that Pakistan wants a place at the bargaining table if and when the Taliban ask for negotiations. Whatever the reason(s), they are still salient, as half of the Quetta Shura has now been arrested in Pakistan. Our favorite Taliban propagandist working for the Asia Times, Syed Saleem Shahzad, tells us that the importance of these high value target (HVT) hits may be exaggerated. “Mansoor’s appointment is very likely, but so far there has been no confirmed decision,” a mid-ranking Taliban official told Asia Times Online. “However, the position of supreme commander is now ceremonial and for the purposes of coordination. In the new setup, military operations have been completely decentralized and are in the hands of local commanders who have been given broad policies. It is up to them to sort out their own tactics,” the Talib said. We’ll see how much operations are affected. The Taliban have a HVT campaign of their own, so switching sides is problematic. I have been on the forefront with denials that the HVT campaign is useful enough to justify its effort and expense. But neither should we deny the usefulness of taking out half of the Taliban Shura. Either way, it won’t end the insurgency in Afghanistan or Pakistan, and it certainly will not end the globalist intentions of the Tehrik-i-Taliban. Since different brands of the Taliban swim in the same waters and cross pollinate ideas, something so simple as a HVT campaign won’t end the war in spite of its usefulness.